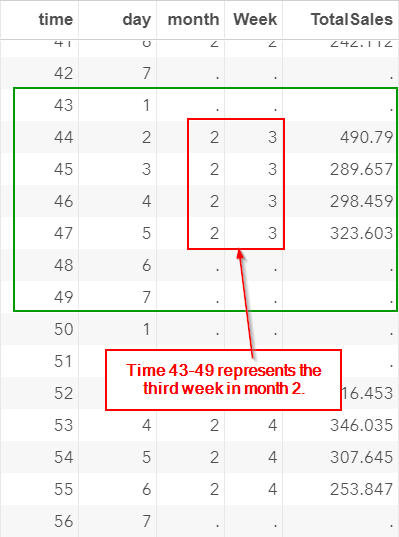 Before we fit any time series model on our data, let's properly create the time variable for the x-axis. 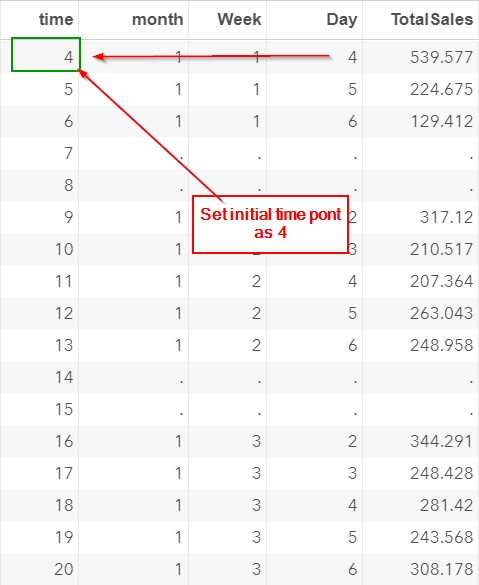 We can clearly identify the time point of each observations. 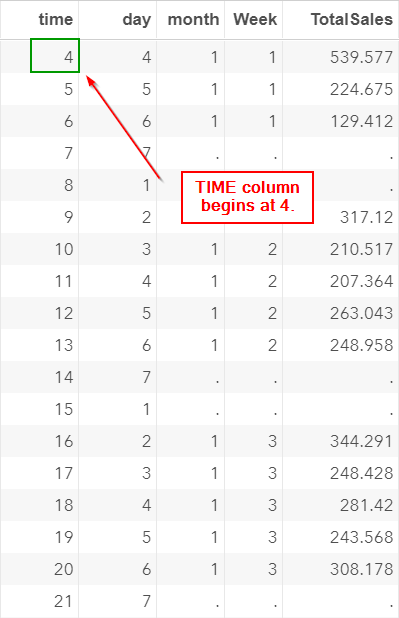 The initial time point in the TIME column is set as 4. 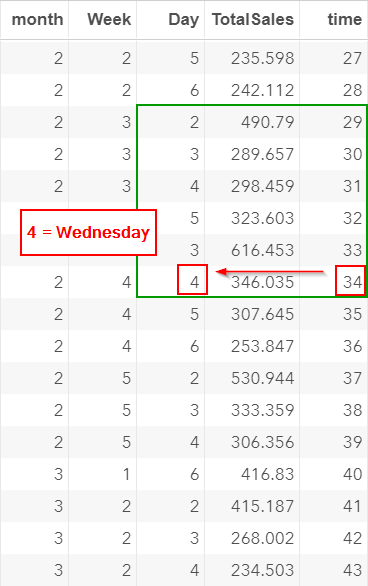 This represents the Day 4 (Wednesday) of the first week of the month. 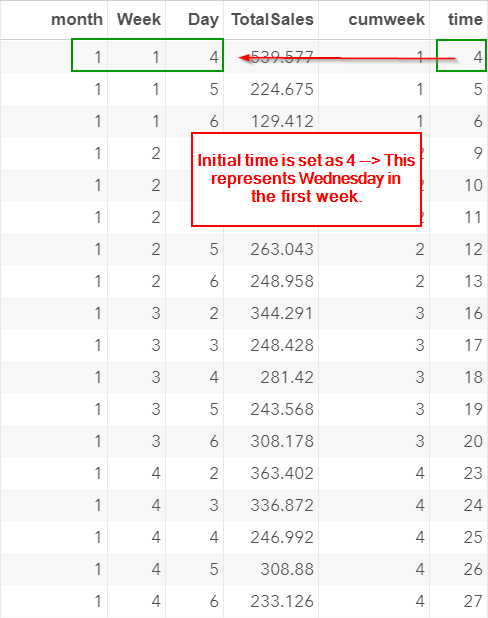 Note: the initial time point does not matter. 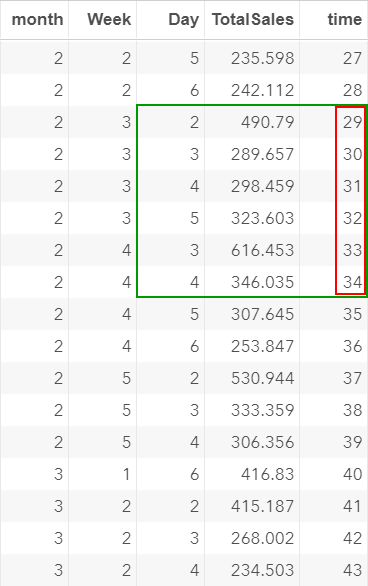 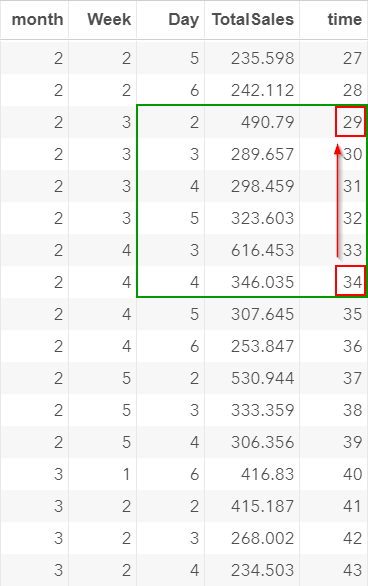 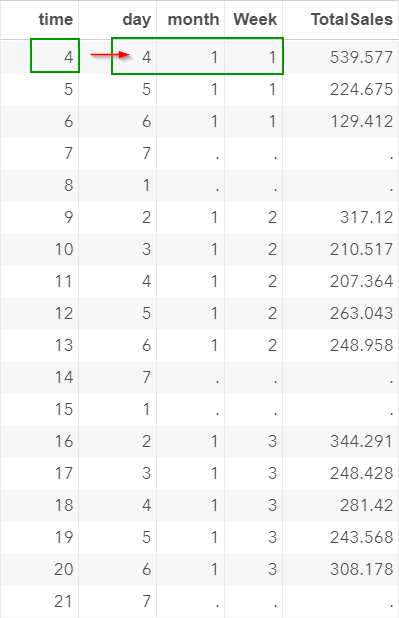 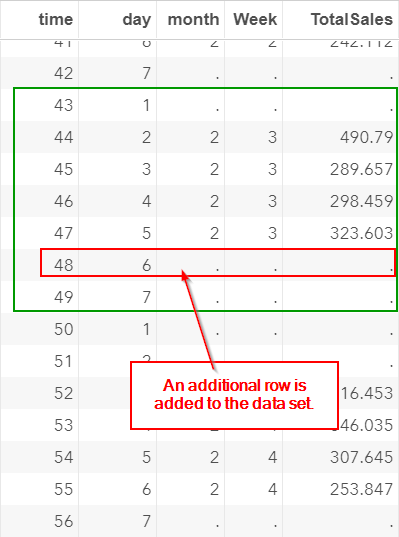 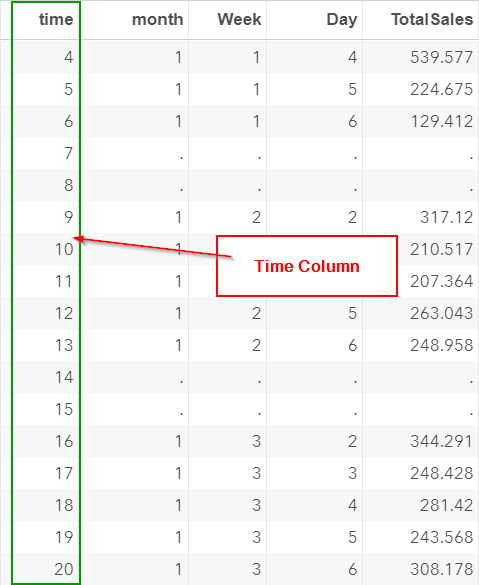 The time column works as long as it is in sequential order that reflects the weekly pattern from the data. 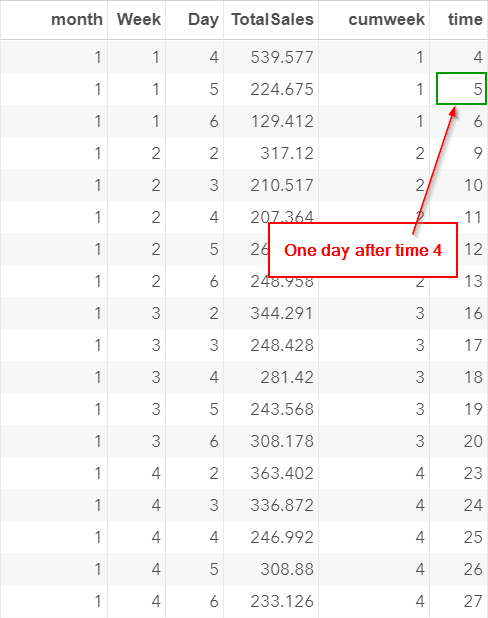 Let's look at the first four observations. 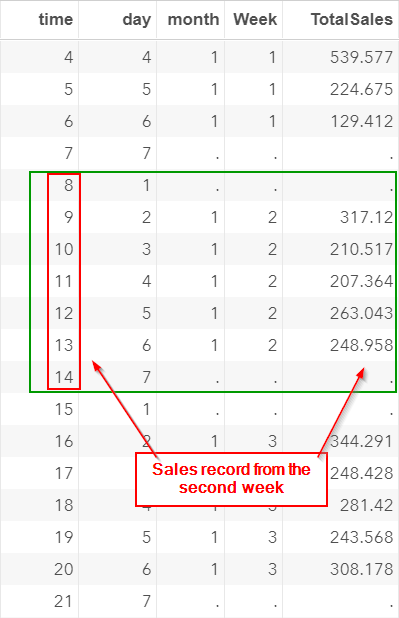 The sales for the weekends (and holidays) are set as missing. 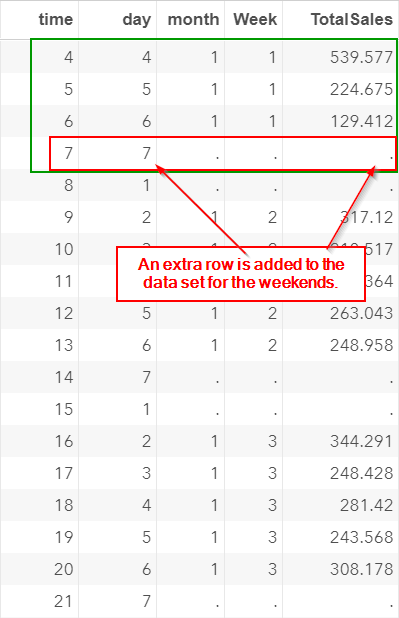 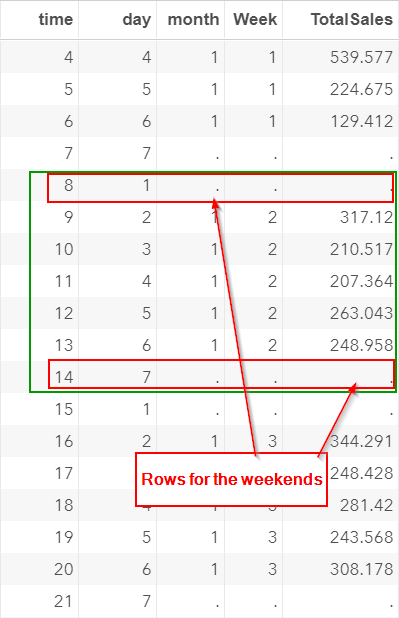 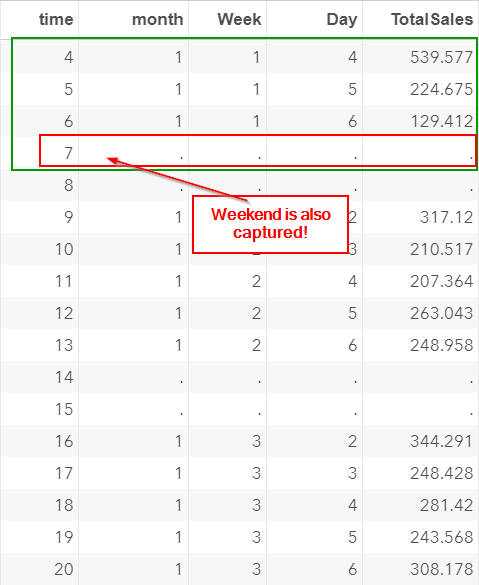 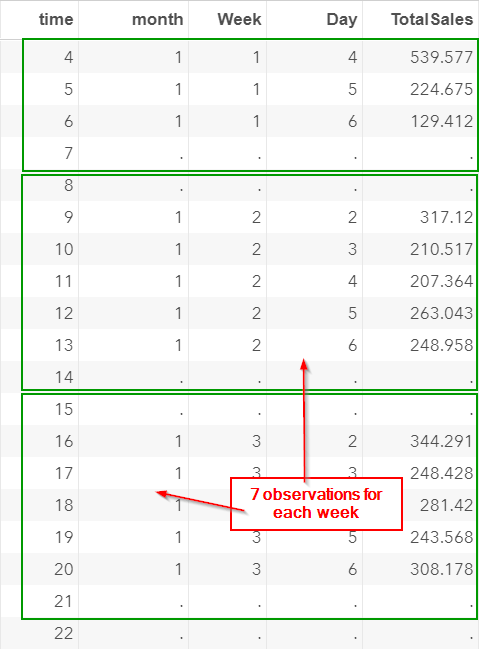 Including the weekends and holidays in the TIME column ensures that weekly pattern is reflected in the x-axis. 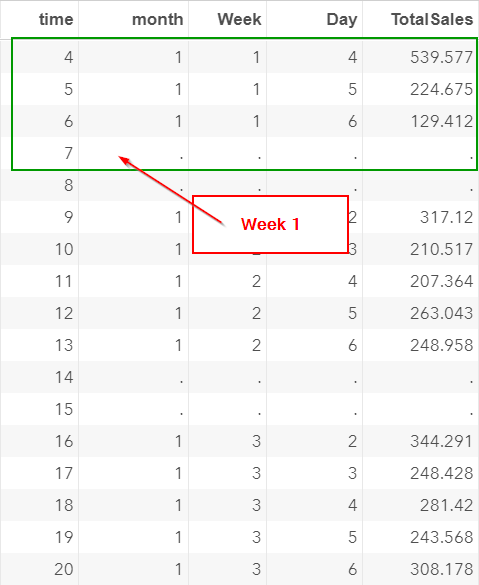 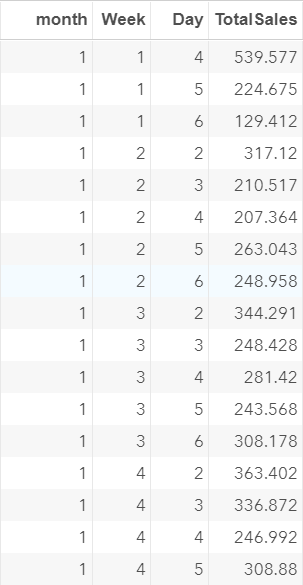 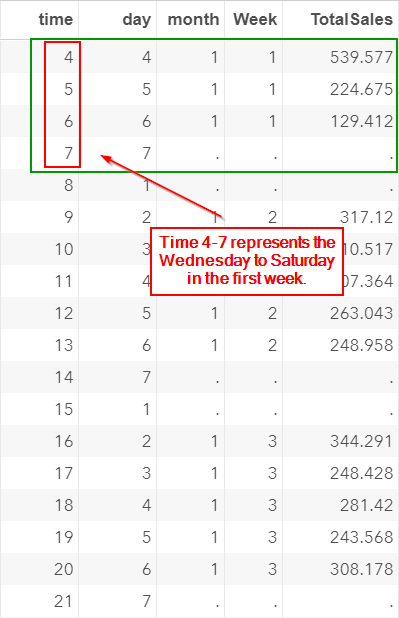 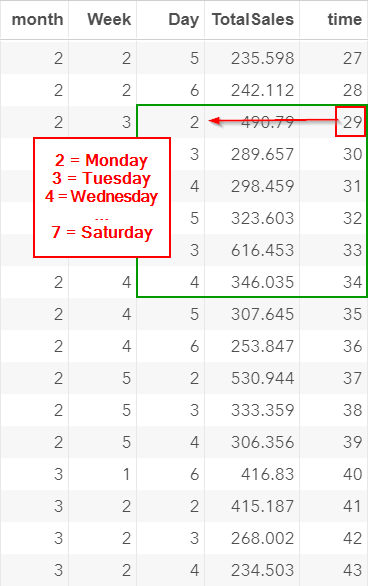 This reflects that fact that day 5 in the first week is one day after the day 4 in the same week.